Finance is changing rapidly. A growing number of investors, companies and policy-makers worldwide are slowly, but steadily, recognising the deep mutual interconnections between finance and sustainability. The COP21 agreement of last December and the growing adoption of responsible investment strategies are just examples of this more general trend. We may have finally embarked on the journey towards a financial system more respectful of people, the planet and the future generations. We are, nevertheless, sailing on sight. Academic research serves as an important navigation system. However, many of the existing financial and economic models are not made for this journey, the outcome of which is still in the dark. The scope and complexity of the sustainability challenges ahead call for a new generation of finance scholars with highly creative, analytical and critical thinking. They will have to question the validity of the current systems and design new compasses made for the future. And this needs to happen now. The challenge is huge, but there are reasons not to despair. 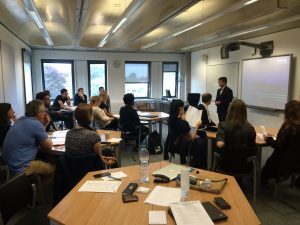 From September 11 to 15 2016, fourteen young scholars gathered in Reading (UK) to discuss their research in the field of finance and sustainability. The occasion was the 6th oikos Young Scholars Finance Academy, co-organized by oikos and the Henley Business School. 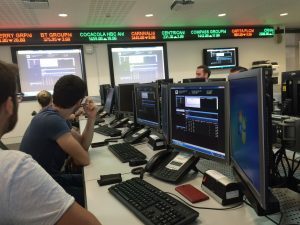 The aim of the Finance Academy platform is to support young researchers in finance and sustainability to advance their works and expand their international research network. The 2016 edition saw the engagement and support of an outstanding Faculty composed by Professor Jill Atkins (University of Sheffield, UK), Professor Michael Barnett (Rutgers Business School, USA) and Professor Sébastien Pouget (Toulouse School of Economics, France). The young scholars received constructive feedback on their working papers from both the Faculty and other participants. The discussion topics ranged from the financing challenges for social businesses, to the integration of sustainability criteria in bank lending, to the relevance of low-carbon indices to tackle climate change, to name but a few. The learning experience was further enriched by faculty workshops dedicated to important methodological, empirical and practical aspects of academic research. 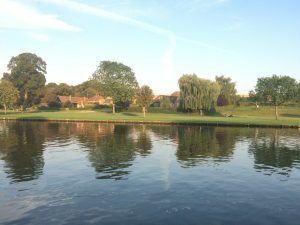 Throughout the Academy, the exchange of suggestions and ideas on sustainable finance continued: casually over dinner; surrounded by a stunning English countryside; or rolling on the Thames during a river cruise. 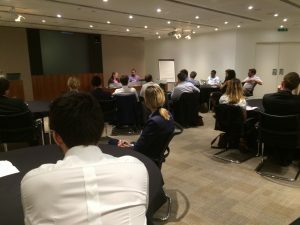 On September 15, the group finally moved to City of London to join a larger audience of faculty members, practitioners and young scholars at the oikos Roundtable “Academic Research and Sustainable Investing. Seizing the Synergies”. The roundtable, co-organized by oikos and the Henley Business School and hosted by UBS, presented a further occasion to identify the main barriers for sustainable investing and explore next steps to strengthen the interactions between academia and practice. As it turned out, the need to further integrate sustainability into finance research – a clear priority on the oikos agenda – resonated strongly with all attendees. In the tradition of previous academies, the overall event was extremely well-perceived by all the participants and faculty members. 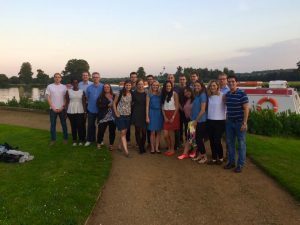 “The oikos Finance Academy was one of the best experiences in my PhD so far. I highly recommend it for sustainable finance scholars” said, for instance, Helen Toxopeus from the ‎Erasmus School of Economics (Netherlands). Of the same opinion is also Anna Geddes, from ETH Zürich (Switzerland): “The academy was the perfect forum to gain valuable and constructive feedbacks on my PhD work”. Most importantly, the Finance Academy certainly facilitated the meeting of some extraordinary researchers committed to making a positive impact in the way finance is understood, taught and practiced. And considering the quality of their works, they are already making it.